By the time you read this, the Alberta election that gave the Progressive Conservatives’ their 11th consecutive majority government, with a mind-numbing 72 out of 83 seats will have disappeared from the headlines. 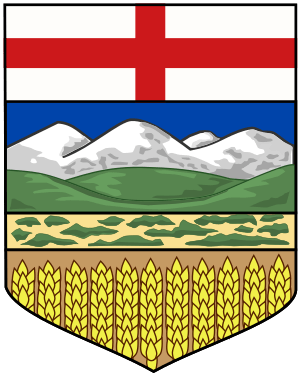 No doubt, it’ll be replaced by another kooky thing we Albertans do (all for the amusement of our compatriots further East, of course). And in order to understand the kooky things we do—or allow to be done to us by a government we apathetically elect again and again—you must understand why we vote the way we do. It’s not that we’re stupid. Or lazy. Or even that red-necked, really. We know we are wittingly living in a one party state. We know that the only time we really vote for change is when we get involved in changing the leadership of the provincial Torys. We know, intellectually, that if a party that’s been in power for 11 years is prone to becoming too arrogant and corrupt, a party that’s been in power for 11 terms, well… let’s not put it into words. We don’t need Toronto liberals to tell us this. We know that we are re-electing a government that is, for the most part, kooky, ineffective, indolent and complacent. A government that’s too used to getting its own way, incapable of big picture thinking, unable to change or adapt. We know all this. That’s why we keep on re-electing them. Listen carefully, because this is Alberta’s great political secret: we want our government to do… NOTHING. And it’s not because we’re a bunch of crazy, rednecked neo-cons. Okay, some of us are—you’ve had lunch with them when you’ve flown in to town, I’ve been trapped in elevators with them going up and down the Bankers Hall Towers—but most of us aren’t. We want our government to do NOTHING because we desperately need one thing in our lives to be totally, completely, perfectly, ineffectually predicable. We live at the lip of a volcano, in a flood plane, at the edge of a precipice, along a tectonic plate fault line. Forgive the bad metaphor—what I’m saying is this: our livelihoods if not precisely our lives are dependent on circumstances totally and completely beyond our control. World oil and gas prices, dictated by market forces that don’t always make sense. Drilling holes here and there in the Western Sedimentary Basin hoping and praying we’re not just throwing money down a deep dark hole to never, ever see it again. So—we live in a climate of perpetual risk. We’re part of a global industry, which means the flapping of a Venezuelan or Arabian butterfly’s wing has tremendous repercussions here. Sometimes, they’re good (the last time I was trapped in a Bankers Hall with a neo-con, I tried to explain to him that he should be totally rooting for Chavez. He didn’t get it). Sometimes, they kill us. The last thing we need on our plates is more unpredictability. We don’t want our government to be better! All we ask of our provincial government is that they do not add to our burden of risk and uncertainty. And so long as it does nothing—we will keep on re-electing it. Now, you might wonder how the royalty issue fits into this. Surely, “King Eddie”—as the local newspapers dubbed the formerly boring and frankly unpopular Ed Stelmach after the March 2 election results were in—committed the cardinal sin of Alberta politics. Twice over. Because, first, he said he’d do something… and then he did it! He ticked off the big names in the oil patch, for sure (but let’s be honest here. Where the heck are they going to take their business? Venezuela? Hey, EnCana? Where are you going to go?). Fortunately, democracy being what it is, Murray Edwards only gets one vote… and the rest of Albertans? Well, they well remember what King Ralph did when there was extra money in the Alberta treasury. He sent every man, woman and child in the province a $400 cheque. King Eddie, we’re waiting for our pay off. Marzena Czarnecka is a Calgary-based freelance writer who votes for change and happily lives in the riding of Liberal MLA David Swann.